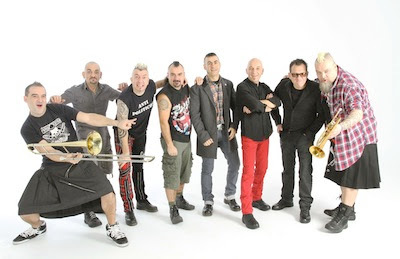 Hola amigos, goy hablara sobre mis bandas espanolas favoritas. Anvil of Doom es un grupo cantan death metal y está en Andalusia, España. Me gusta esta grupo porque el cantante canta con mucha pasión. Esta canción se llama Millennium. Tiene un sonido muy interesante porque gritan las letras. Gritan las letras porque tienen mucho pasión y me gusta. Angeles del infierno es un grupo cantan heavy metal y está en Basque country, España. En este grupo hay muchas personas y cambian cada año. Esta canción se llama Si Tu No Estas, y es sobre una historia de amor. Me gusta el cantante porque él suena como Freddie Mercury. Freak mind es un grupo cantan rock alternativo. En el grupo hay cuatro personas, Alberto canta, Dani toca el batería, Javi toca la guitarra eléctrica y Rubén toca el bajo. Sus cancion, El Visitante, es ambos suave y agresivo. Stravaganzza es un grupo cantan dark metal y es de Madrid España. Comenzaron a hacer música en 2004 y han hecho 4 albums. Muchas de sus cancion son acerca de miedo monstruo. Me encantan sus cancion, Hijo De La Luna porque al principio era suave y despacio sin embargo se convierte muy rápido. 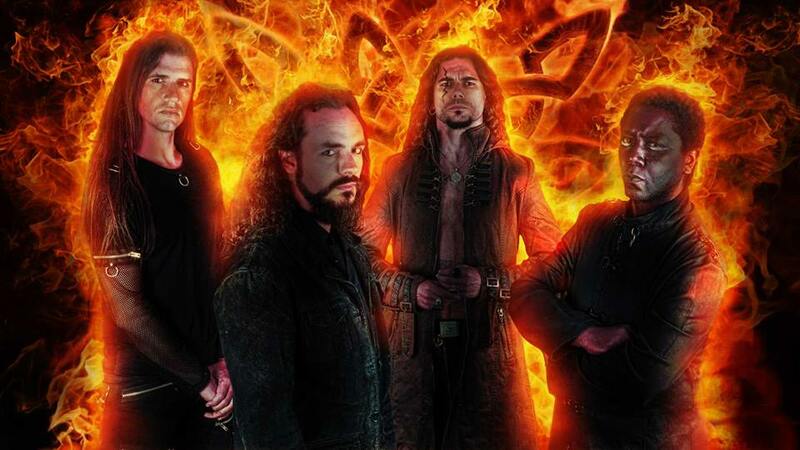 Warcry es un grupo cantan power metal y comenzaron a hacer música en 2001. Su música suena como una canción de una película de fantasía o una película de guerra. Me gusta sus canciones porque tengo ganas de headbang cuando escucho sus musica. El cancion se llama Mas alla. 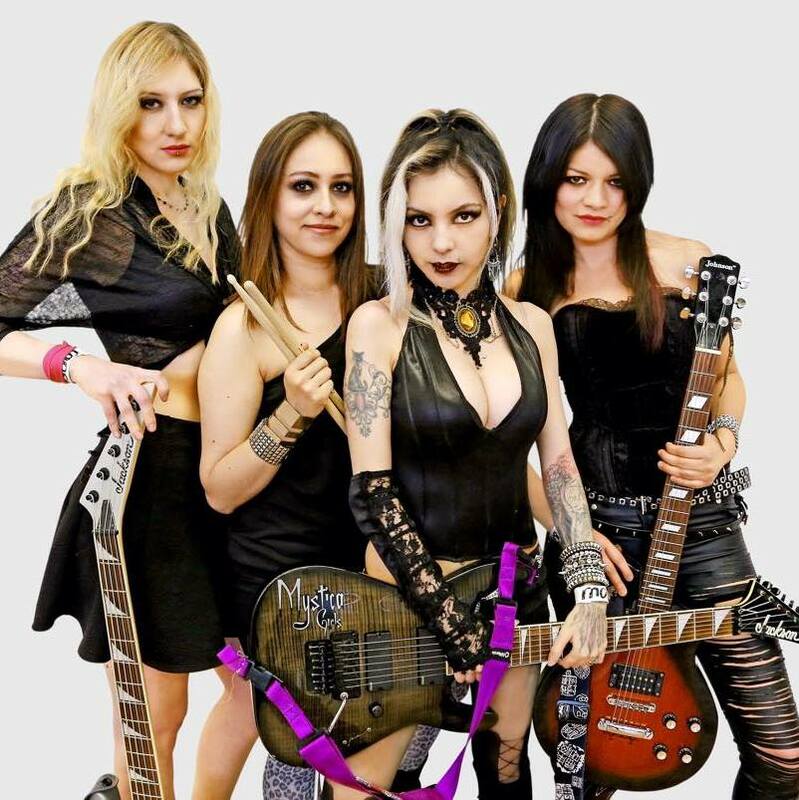 Mystica girls es un grupo cantan Heavy Metal y esta de México. El grupo hay solo chicas pero ambos chicos y chicas disfrutan Mystica girls. Cantan ambos en espanol y ingles. Tienen solo tres álbumes pero que van a hacer mas en el futuro. Mi cancion favorita es Angel Caido, porque me gusta la combinación de clásico y heavy metal. Hamlet es un grupo que tiene cinco personas. Cantan groove metal y esta de Madrid Espana. Me gusta esta grupo porque cantan sobre temas polémicos por ejemplo el canción, Mi Religión. Me gusta esta grupo porque las letars son signifcativas. Saurom es mi banda de favorito porque el sonido es muy bueno y me encantan la combinación de clásico y heavy metal. Cantan folk metal y esta de San Fernando, España. Muchas de sus canciones son sobre las aventuras de fantasía. El cancion se llama Suenos perdidos. For this short unit for science we had an independent study project. We would choose any topic that is based on Astronomy like the solar system, the universe, or even the space stations. After a long time of thinking I choose to do a project about Black Holes and my essential question that will be answered at the end of the project is, what is a Black Hole/How do they form, what are the different types of Black Holes, and what would happens if you would fall into the Black Hole it self. After that I went straight the internet to get some information and this is what I found out. A Black Hole is an object that is in space that has such an extreme gravitational pull. The gravitational pull is so extreme that not even light can escape form the black hole. Black Holes are formed when a star would die and can not support its own weight, it would collapse on itself into a very small area and then it will form a Black Hole. There are three forms of Black Holes, Stellar Black Holes, Super massive Black Holes, and a Miniature Black Hole. Stellar Black Holes are the most common Black Hole. There are about a few hundred million of these black holes scattered in our Milky Way Galaxy. Each of these black holes weighs up to 20 times the mass of the Sun. Super Massive Black Holes are the biggest black holes known. These black holes have the mass greater than 1 million suns combined and it would fit in the size of a whole solar system. Scientist thinks that in the middle of every galaxy there is a super massive black hole. Miniature black holes. They are the smallest black holes. Miniature Black Holes have the mass of a mountain but the size of an atom. This is all a theory because no scientist have discovered a miniature black holes yet. If you would fall into a Black Hole you would be stretch because of the extreme gravity. That effect is call Saghettification. I choose to use this because It had a lot of interesting shapes in it that can give my final project some flare to it. I chose to use this for the end project because it has some colors that I like. I chose this because it has a cool spiral disign that I like. In a giant castle next to a giant mountain, there was an evil man sitting on his throne. Planning his destruction of a happy kingdom. A zombie guard approached him and asked “How are you going to destroy MInecraftia my lord, Herobrine.” “In time my dear zombie friend. In time,” said Herobrine with a devilish smile. MInecraftia is a peaceful kingdom. Ruled by a man named Notch. Notch was a great leader, he created Minecraftia. Ruling beside him was a man named Jeb. Jeb was a good man with a good heart. He and Notch ruled Minecraftia In that kingdom there were many people who lived there. There were builders, there was miners, there was even farmers. The kingdom was in a such a happy time but then when Herobrine betrayed Notch it was chaos. Over years and years of war, the army of Minecraftia and Herobrine’s army of deadly monsters from hordes of zombies to exploding creepers. The only question is who will win? “Captain Cole,” Asked Notch as he went into the military base. “How are we doing on our army”. “ It is not good. we are running out of weapons to use, we are running out of arrows, diamonds and gold a starting to be really rare. We are going in a time of chaos. Good thing that our weapon specialist are thinking and coming up with new weapon to use in the heart of battle.” said Captain Cole. Captain Cole is a tall and heavy man with big shoulders. he is the general of the army and one of Notch’s best friend.” I hope that this chaos would stop. send your team of three spies to go to Herobrine’s hide out in the desert.” ordered Notch.”very well tomorrow I will send three of my best spies,” reply Captain Cole. Then Notch head to a restaurant. The restaurant was called Doku’s Steakhouse and Bakery.” So what will be today my king Notch,” asked Doku.”how about 3 cooked fish, 1 bread, 2 cooked porkchops, and 1 steak,” reply Notch. “That will be seven emeralds,” said Doku. “very well,” reply Notch and gave Doku seven emeralds. “So why do you come here when you can eat your 5 stars food in your castle my King?” asked Doku.”Well when I eat at home I feel lonely but when I eat out I get to interact with my people like you Doku,” Notch said munching on his bread. “Well, I will see you later kay?” “Sure see you later,” said Doku with a big smile. Then Notch walk out of the restaurant and head to his castle. His castle is the biggest castle that a King could ever asked for. The castle is made out of stone brick and cobblestone for the walls and wood for the floor. It has one watch tower on each side of the castle and a defence system that would turn on every night so no monster could get in the castle. The whole defence system was full of lava pits, sentry guns with 9 stack of 64 arrows , and a molt of lava surrounding the castle. On the top of the castle was the flag of Minecraftia. The flag was blue with a falcon holding a diamond sword on one wing and a iron shovel on the other.The flag wave bravely in the sky. Notch walked into the castle and headed to his bedroom. Is shock Notch saw that his bedroom was full of redstone torch. On the wall there was a carving that said: Herobrine was here and a sign hang below the carving. It said: Only god can save you now. Go in the backyard and see what I made for you. Mother and father would have loved it. then Notch grabbed his diamond sword and rushed to the backyard. when he got there he saw Herobrine standing next to a Herobrine summoner. Behind him was his army of monster. “Look at what I made for you is it neat?” Herobrine said pointing at the Herobrine summoner. “too bad that you can not enjoy it because your tiny puny kingdom is going down.” “Three years ago, I banished you from Minecraftia and you’re still here. Get out of here you evil monster!” Notch shouted and then he jumped and try to land a critical slice but he missed. Then he pause to hear a sound. Then he realised that that sound was a tnt block that was beneath him. The BOOM!!!!!!!!!!!!!!!! !.The tnt exploded. Herobrine stood above Notch and said “ I hope you enjoyed you your pain and sadness brother.” Then he disappeared along with his army and the Herobrine summoner. “Yes sir.” The blaze went. out. Jeb was walking to the hospital to check how Notch is doing. Suddenly a group of Endermen appeared. Jeb closed his eyes. He felt the power of the staff. Then Lightning bolts struck the staff, and All the Endermen died, and dropped ender pearls. Jeb destroyed the pearls because it was dangerous to keep them. Jeb sighed, and kept going. 5 creepers were creeping in the deserts, finding the spies. “Hey knives, I can see creepers ahead of us!” Steve said. “I see it, it’s down the road!” James said. “WHERE IS HEROBRINE’S CASTLE…” an enderman said. looking at James. James peeked at the enderman. Suddenly, James was slained by the enderman. The enderman teleported. Steve crouched down and started crying. Knives said ‘Let’s keep our promises, and James’s dream, and let his dream come true, but now we need to go to Herobrine’s castle. So Knives and Steve walked along the road. The road was hot and dry. There was no trees, no water, just sand, cactus, and some dead bushes. Then they was in front of Herobrine’s castle. Behind the castle was a giant mountain that was called Mont. Wither. Then two zombie guards that was standing next to the door saw Knives and Steve.” What are you doing here you scum,” said one of the zombie guard. “look like we are going to have some new prisoner today. Hahaha.,” said the other zombie guard said. then he grabbed a bag and covered Knives and Steve. Then Knives and Steve woke up. They was in a cage hanging from the ceiling. “Where are we?” asked Steve.” I think that we are in the dungeon,” Knives replied. Jeb teleported to Notch’s room. “Brother…. Are you alright?” Jeb said. “Sorry bro… I think I will go to Aether first… I am so sorry… please let my dream come true…”Notch said. Jeb was in tears. “No. You won’t go to Aether until we make your dream come true…Stay alive.” Suddenly Notch stood up. “Thank you Jeb.” Suddenly Notch disappeared. ‘Ahh…my brother….” Notch turned around. It was Herobrine. Notch was on a cliff. “Where am I?” asked Notch. “You’re on top of Mount. Wither, brother,” said Herobrine as he appeared. “Why did you bring me here?” asked Notch. “I just thought that you might want some pain before the distorsion of your kingdom. MINECRAFTIA WILL JUST BE DUST WHEN I FINISH YOU!” reply Herobrine. “YOU SHOULD BE THE ONE THAT WILL BE DUST. YOU KILLED OUR PARENTS! YOU KILLED THEM!” yelled Notch. “Didn’t you know that father and mother hated me. NOW GET THE NETHER OUT OF HERE!” yelled Herobrine. Then he kicked Notch off of the cliff. Notch landed in a pit of lava. Herobrine smiled at his brother’s death. Then suddenly Notch flew out of the lava pit and flew in the air. “How are you still living brother?” asked Herobrine as he was in shock of his brother still living. “Didn’t you that I am part king part god. Now it is your turn to die brother,” said Notch. Then a diamond sword appeared in his hand. Then he dived out of the sky and stabbed Herobrine in the heart. “It doesn’t matter that I die. My army has already invaded your kingdom and your spies are locked up in my dungeon,” said Herobrine with his dying breath. Then Herobrine, disappeared and Notch grabbed his sword and teleported to Herobrine’s dungeon. “I am doing good. Where is James?” reply Notch. “Sadly James was slain by an Enderman when we were looking for Herobrine’s castle,” said Steve. “Well that is another fallen man. We have no time Herobrine’s army have already invaded Minecraftia. I will teleport us to the middle of Minecraftia,” said Notch. Then Notch, Knives, and Steve all teleported to the middle of Minecraftia. When Notch, Knives, and Steve arrived there was monsters everywhere. There was also citizens defending themself. “This is chaos,” said Knives. “So what is the plan Notch?” asked Steve. “The same plan as always… attack!” said Notch. So then Notch equip his diamond sword, Knives equip his flame bow, and Steve equipped his tomahawk, one tomahawk for each hand. Then they attack the monsters. Notch took down the zombies and the skeletons, Knives took down the spiders, and Steve took his revenge on the Endermans for killing his friend, James. “There are too much monsters Notch. Do you have a plan B?” asked Knives. “Yeah. here is plan B, lead them to the nuke tower. Then find an obsidian bunker, but do not let them in the shelter. Then finally I will release the nuke. The nuke will destroy the army of monsters. you got that,” said Notch “Yeah,” Steve and Knives both said. So then Notch, Steve and Knives rushed to the nuke tower. Knives and Steve ran into the obsidian bunker. Notch ran up the stairs in the nuke tower and head to the control tower. Notch looked out of the window. There was a ton of monsters gathered near the nuke tower. “GET OUT OF MY KINGDOM!” said Notch then he press the button. the the nuke was released. Four blocks of nukes dropped down and hit the ground causing a giant destructive explosion. The explosion destroyed all of the monster with one large BOOM!!!!!!!!!!!!!!!!!!!!!!!!!!!!!. Herobrine’s army was no more. MInecraftia was a dusty and sandy wasteland. Only 30 out of 300 of the citizens of Minecraftia ,including Notch, Knives, and Steve, survived the explosion. Now they move on find a new place to rebuild Mnecraftia, but Herobrine’s spirits will always haunt Notch’s mind forever. The Definition of Printmaking is when you would carve prints on different surfaces like wooden or rubber and use paint to print it on paper. This video is a short explanation of the four main printmaking techniques. This one is about the the techniques of wood carving and the tools for that techniques. During this unit we had to create an abstract paint based on digital artwork that we did, that was about our home country. The skills I meant to demonstrate is blending in the colors and to create texture using the paints and different brushes and sponges. What I have learned form this is that when you paint you need to paint the first layer with the darkest color. I have also learned a new type of brush technique called dry brushing, where you would take a paintbrush with paint and scrap it on a paper towel to get it more dry. Then painting on the canvas to look like it is exploded out in the canvas. I created this art work by first started with digital art by starting with a few screenshot of my home country of Vietnam on Google Earth. Then I would drag that in to an art program called Art Rage and use the paint bucket to splatter colors on to the canvas to mix it up. I would make about 3 to 5 of these digital art. After that I would use another art program called Sketchbook X to merge the 3 to 5 digital art from Art Rage. After that I would use a projector to project on the canvas and a piece of charcoal to trace the boarders and different details. Then I would get all of the materials that I need like paint, different sizes of brushes, and sponges. I would first start with the base colors and the shapes. After that I would start adding in the the brighter colors and using different sponges to get different patterns in the canvas. Once I was done with that it was time for the final tweaking and touches to make it better. I added in a light blue line on the boarder of Vietnam so it can be stronger and I would add in black boarders on the sides and dry brushed the side colors to make it look like it is exploding out of the canvas. I think I did a good job overall. There are somethings in there that I could have improved but over all I think I did a good job. Three things that I am happy with is the blending of the colors, the dry brushing in the sides, and the light blue line around the boarder of Vietnam. One thing That I what to differently next time is that I would like to add in more textures because I barely had any texture in this art work. Another thing that I would do differently next time is that I would add the darker colors first and then add in the lighter colors because the color would become a muddy color. The thing that I found easy was that getting the basic shapes on the canvas and the basic colors on. The thing that I found hard was getting the details from the original digital art on to the canvas with the acrylic paint. I like this artwork because the different colors and the black figures that create the focal point. This is my favorite because I like concept of the color coming out of the face. It looks like dripping painting. I like how it is a face within colors and shapes. It makes me feel very clam because the color scheme of blue reminded me of the clam blue sea. The definition of abstract art is a painting that does not focus on the object it self but it focus on color, shape, and the flow of the lines. I choose to include this art work because I like how it started out looking like a tattoo but then it starts to become the hand itself. Why did the rich want art? – The rich wanted art to hang on their wall to show off their status. What movement began in 1870? – The movement that began in 1870 was called the impressionist. What was their purpose/technique used that made them different? – They used visible brush-strokes, and wanted to show the changes of light. Which movement was after Impressionism? Who were 2 artists? – Vincent van Gogh and Georges Seurat. Abstract art does not have a clear subject. Abstract art is called non-representational art because they did want the painting to look like something but they focus on color and form. How can this type of art generate an emotional response?- They can do that because they are simple. Is your work Abstract? Why? – Yes some of my work is abstract because they focus more on the color and moment then clear objects. What emotions do you think your art triggers? – I think they trigger a emotion that is known as child-like wonder. What was one thing you learnt from the video? – I learned that what type of art the rich has hanged up on their wall would represent their status. Posted on March 5, 2015 Categories Art8CLeave a comment on What is Abstract Art? The last week we were working on the painting on a Vietnamese traditional. We had to paint what we think when we think of Vietnam on the hat. I think that this project is to demonstrate the skill of painting, like mixing in different colors, make the pattern for the water, and making the landmarks look realistic. I learned how to paint on a canvas that is not just a flat piece of paper. I created my project by first creating little paper cone hats and made little concepts. After that I picked one that I liked and get a life size Vietnam cone hat and start painting in the basic colors on it. I used dark blue for the bottom as the water and then it would get lighter and lighter when it goes up toward the sky. The light blue was the sky. Then I would start using the the charcoals to sketch out the landmarks. After that I started to paint the in the sketches. Then I would add in the final details like the clouds and the patterns in the water area to make the water look like it is actually flowing. I think that the overall final project turned out pretty good. I really like The way the dark blue color I used for the water blends in with the light blue sky. I also like the lady with the red dress and hat. I think that came out very well because to me it really looked realistic with the red and white dress and the black outlines. Another thing that I liked about the hat was that the mountains on the top went very well with the sky blue color and the white clouds. It really looks like a really scene. One thing that I did would do differently was to make the red bridge more clear. It looks very smudgy like the black outline is blending with the red. It came out pretty blurry. Another thing that I would do differently next time would be that I would add more things to the scenery like shops or more boats with people on it or even red lanterns. During the unit the lifesaving techniques that I have learned are reach rescue and the rear rescue. My favorite rescue technique was the reach rescue because I could use something to pull the victim in with me going in to the water. My favorite game that we play during the unit was water polo with the water tube because I don’t really like to swim so I would sit on the water tube and play polo. I found that I won a few games when we play water polo with the water tube. During this unit I would rate my effort and participation at a 9 out of 10 because I really don’t like to swim. The water was very cold and I never like to swim in cold water, but I did it. I went into the water even though it was freezing cold.